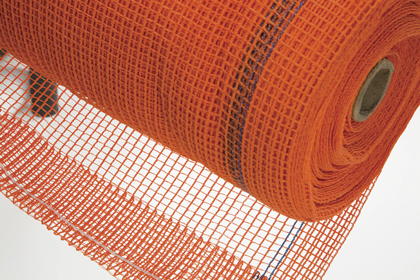 In order to determine which debris netting is right for the job at hand, one must know the benefits of each different type of netting. Since contractors and building managers are often busy with all the other safety and construction tasks required of them, they don’t always have time to learn the ins and outs of safety netting. That’s why it’s so important for contractors to partner with the proper debris netting company. Having a trustworthy netting supplier, like Strong Man Safety Products, can alleviate the stress of determining the correct netting for the job, saving contractors time and headaches. 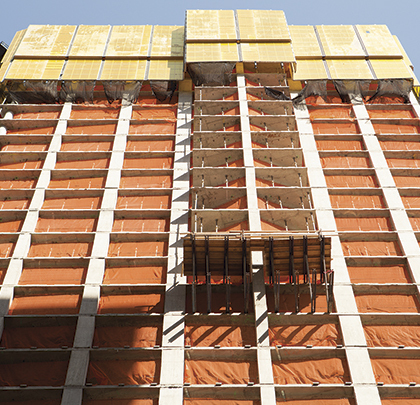 When selecting proper debris netting, many factors should be taken into consideration, including the work being done, weather conditions, and the building’s height. Other things to consider are vehicle traffic, the number of pedestrians near the jobsite, and the jobsite’s proximity to adjacent properties. The most important factor to consider in all cases, however, is the size of the smallest amount of debris that can fall. This will, of course, determine the correct knit so that maximum protection is guaranteed. For instance, if a construction project is set in the center of a busy downtown area, a netting supplier will want to use a high-density polyethylene mesh, such as Strong Man’s SBN-22 or SBN-427 PVC-coated debris net. The SBN-22’s opening is only ¼ inch, while the SBN-427’s knit is even tighter at 5/32 inch. These tiny openings ensure pedestrian safety by catching small debris. The durability of these netting materials makes them long-lasting and cost-efficient, and both nets meet the NYC Local Law #61, as well as OSHA requirements. The SBN-22 even comes in a wide array of colors and sizes, making it one of the most popular and versatile nets available. 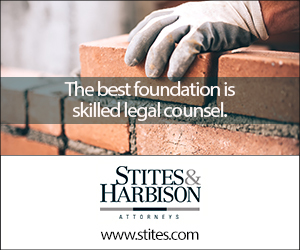 If a site resides in a highly trafficked area, and contractors are concerned that unauthorized personnel may access the site, increasing injury risk or even theft of construction materials, a vision barrier or privacy screen can be established. A tighter, heavier knit such as Strong Man’s SBN-324 is an excellent option. Available in multiple colors and sizes, the SBN-324 can be used as a debris net and scaffolding enclosure, as well as a wind and vision barrier. Strong Man also offers privacy screens made from durable and tightly knit high-density polyethylene. These are suited for a variety of jobs from construction sites to storage areas to highways. In addition to contributing to greater risk from falling debris, the wrong net can create less obvious hazards. If a site is particularly windy, and the mesh knit is very tight or impermeable, air will not be able to pass through the net, creating a dangerous scenario for workers. If welding or other equipment that generates sparks is used, then a fire-retardant mesh is mandatory to prevent a fire hazard. And, while many nets are capable of keeping the public safe from falling debris, few can keep workers themselves safe from falls. To help prevent worker injury from serious falls, contractors should invest in heavy-duty personnel nets such as Strong Man’s Personnel Safety Netting. Made of high-tenacity synthetic diamond mesh, Strong Man’s Personnel Safety Netting is incredibly durable and versatile. It can be coupled with structural netting, creating the highest strength safety net available, capable of heavy-debris containment and protection against personnel falls. These nets are also certified to meet the requirements of the U.S. Army Corp. of Engineers and all applicable OSHA safety rules and regulations. Personnel Safety Nets are typically used for building projects, bridge construction, and overpass and tunnel work, but should be considered for any job that puts workers in potential danger of falling. If a project requires heavy-duty protection, custom mesh tarps can be made that let air pass through, but catch just about everything else. Strong Man’s SBN-1460 Heavy-Duty debris net is designed to catch large, as well as fine debris, and is ideal for custom orders. It can be used vertically or horizontally as a sandblast curtain, scaffold enclosure, or wind and pedestrian barrier. For more information about the various types of debris netting from Strong Man Safety Products, visit www.strongman.com. Previous articleWPC: The Next Big Thing in the Flooring Industry?